Foreign exchange (Forex or FX) is the conversion of one currency into another at a specific rate known as the foreign exchange rate. The conversion rates for almost all currencies are constantly floating as they are driven by the market forces of the supply and demandSupply and DemandThe laws of supply and demand are microeconomic concepts that state that in efficient markets, the quantity supplied of a good and quantity demanded of that. The most traded currencies in the world are the United States dollar, Euro, Japanese yen, British pound, and Australian dollar. The US dollar remains the key currency in foreign exchange markets, accounting for more than 87% of total daily value traded. Many factors can potentially influence the market forces behind foreign exchange rates. The factors include various economic, political, and even psychological conditions. The economic factors refer to a government’s economic policies, trade balances, inflationInflationInflation is an economic concept that refers to increases in the price level of goods over a set period of time. The cause for inflation in the short and me, and economic growth outlook. Political conditions also exert a significant impact on the forex rate, as events such as political instability and political conflicts may negatively affect the strength of a currency. The psychology of forex market participants can also influence exchange rates. The foreign exchange market is a decentralized and over-the-counter market where all currency exchange trades occur. It is the largest (in terms of trading volume) and the most liquid market in the world. On average, the daily volume of transactions on the forex market totals $5.1 trillion, according to the Bank of International Settlements’ Triennial Central Bank Survey (2016). The forex market is decentralized, and its major trading centers are located in major financial hubs around the world, including New York, London, Frankfurt, Tokyo, Hong Kong, Sydney. Due to this reason, foreign exchange transactions are executed 24 hours, five days a week (except weekends). Despite the decentralized nature of forex markets, the exchange rates offered in the market are the same among its participants as the arbitrage opportunities can arise otherwise. 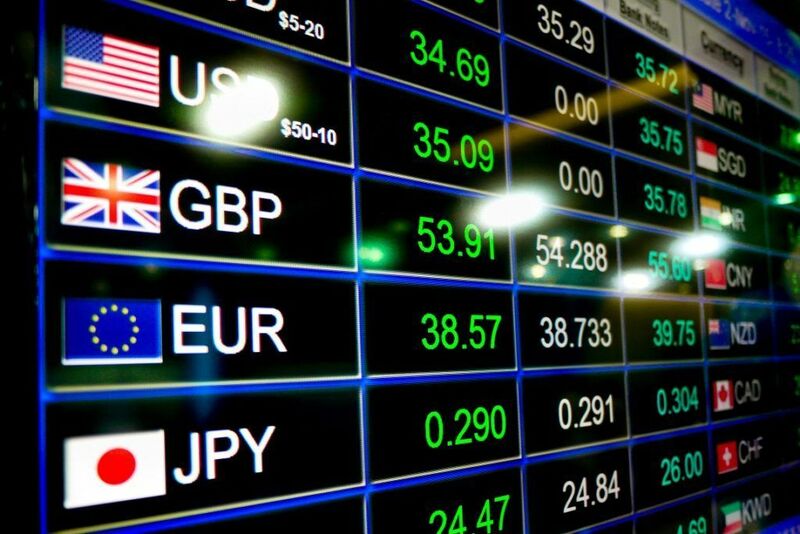 The foreign exchange market is probably one of the most accessible financial markets. Market participants range from tourists and amateur traders to large financial institutions (including central banks) and multinational corporationsMultinational CorporationA multinational corporation is a company that operates in its home country, as well as in other countries around the world. It maintains a central office. Also, the forex market does not only involve a simple conversion of one currency into another. Many large transactions in the market involve the application of a wide variety of financial instruments, including forwards, swaps, optionsOptions: Calls and PutsAn option is a form of derivative contract which gives the holder the right, but not the obligation, to buy or sell an asset by a certain date (expiration date) for a certain price (strike price). The are two types of options: calls and puts. US options can be exercised at any time before the expiration of the contract, etc.